Many of us may have experienced dry skin, or acne, resulting in scarring or poor facial complexion. In such situations, we often turn to anti-aging remedies and other types of face oils to help improve the skin's appearance and health. But the challenge here is to find the best face oil that can not only improve the facial complexion, but also is completely natural. Many of the facial oils available in the market frequently cause unpleasant side effects such as acne, rashes, and the general discomfort due to too much grease. Not to mention, many of such face oils contain some traces of chemicals, even if they are supposedly natural. If you are looking for an all-natural, herbal and chemical free alternative, then you may be delighted to learn about Manjish Glow Elixir by iYURA. What makes Manjish Glow Elixir unique, is that it is composed of authentic medicinal herbs that have been practiced among the Ayurvedic practitioners over thousands of years to help treat various skin ailments and conditions. It is completely free of chemicals and toxic ingredients. This face oil also has excellent anti-aging, antiseptic and healing properties that are needed to not only improve facial complexion but to help restore its natural beauty and health. Additionally, there is no greasy feeling that people would experience by using other face oils in the market. Most of us do not want to buy face massage oils that have questionable and unknown ingredients that can can directly or indirectly cause unpleasant skin problems that even go beyond acne. We rather want to use a product that is natural, free of chemicals, safe, and that has proven to work. And, the iYURA Manjish Glow Elixir™ meets all of those needs. I am sure you are eager to know more about this ayurvedic face oil. Continue reading this Manjish Glow Elixir review to learn more about its background, ingredients, benefits, how-to-use directions, before and after, and alternatives. What Is iYURA Manjish Glow Elixir™ And How Can It Help? Manjish Glow Elixir, also called as Manjishthadi Oil or Ayurveda's Pink Power Potion, is based on the key ayurvedic ingredient 'Manjishtha or Indian Madder', which gives this elixir its beautiful pink color. It is a skin brightening, smoothing, moisturizing, and healing face massage oil which is composed of medicinal ingredients that have been used to treat many ailments by Ayurvedic practitioners throughout history. In the Ayurvedic culture, this oil is considered to be Pitta and Kapha which means it is soothing, calming, and encourages balance. And, the Manjish Glow Elixir is made up of many medicinal herbal ingredients which make this product high-quality, unique, and appealing. All of the iYURA oils, including Manjish Elixir, are composed of medicinal herbs, extracts, and oils, and nothing else unnatural is ever added to the mix. There are no additives, binders, and chemicals. Manjish glow is cruelty-free, which means it is never tested on animals. Additionally, it does not stain clothing and cause any other type of inconvenience. It is designed help improve your facial complexion, texture, glow, and is the best nighttime massage oil that gives off a pleasant aroma. It is a perfect complement to the daytime Kesaradi Oil included as part of iYURA Day and Night Set. The Manjish Glow Elixir is composed of only natural ingredients which most have been used throughout Ayurveda history. Practitioners of Ayurvedic medicine only use medicinal herbs and other natural treatments to help heal a variety of skin ailments that people may experience. And, these natural treatments do work very well. In order for medicinal herbs, extracts, and oils to work, they have to be meticulously blended together with others ingredients that heal similar ailments. That said, once you have the right blend with the correct amount of herbs, you have a potent treatment. That is how iYURA Manjish Glow Elixir was created! It’s formulation is of several Ayurvedic remedies as well as other natural ones as well, and it’s a potent mix which is meant to give your facial skin a fantastic complexion, texture, and an even-toned appearance. The main ingredient of this mixture is Indian Madder, which is the reason why the Manjish Glow Elixir has a pleasant pink color. However it has many other benefits. Indian Madder or Manjishtha, which is its other name has been a popular herbal remedy for treating many ailments throughout Ayurveda history. According to WebMD, Indian Madder not only helps treat many skin conditions, but it has anti-inflammatory properties, and helps relieve pain. Indian Madder has also been known to treat urinary tract infections, and have been able to help dissolve kidney stones, bruises, blood disorders, paralysis, jaundice, and sciatica. In fact, this herbal medicine has been known to help women by helping to regulate menstruation and reduce PMS discomfort. Even though Indian Madder is a potent herb, its healing effects need the help of being reinforced by other medicinal ingredients. 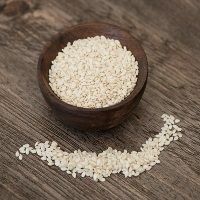 And, one of those other medicinal natural ingredients that is in the formulation of the Manjish Glow Elixir is sesame oil. Sesame oil or Tila Taila that it is referred to has been known to help various skin conditions and has been used by many Ayurvedic doctors to treat these skin conditions for a long time. In fact, according to LiveStrong, sesame oil is loaded with vitamin A and E which helps remove toxins from the skin, smooths out wrinkles and improves complexion, banishes acne, and improves circulation. Sesame oil is loaded with antioxidants as well which repairs damaged tissue, and it also has anti-bacterial, anti-viral, and anti-fungal properties which is why it helps keep your face free of blemishes. Additionally, people who suffer from skin conditions such as psoriasis or eczema benefit a lot by using sesame oil for treating these conditions. 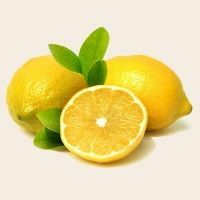 That is because this ingredient has been known to restore the health of the skin, and it works extremely well with other medicinal ingredients such as citron. Citron, which it is referred to is a healing herb which has been used throughout Ayurveda history to help treat many conditions. According to Dr. Josh Axe, citron has been known to reduce inflammation, improve heart health, reduces the risk of cancer, and promotes immunity. Matulunga is an important part of the formulation of the Manjish Glow Elixir because of the fact that it is high in antioxidants. Therefore, it treats chronic inflammation, and repairs damaged tissue. This herb has been known to help treat many skin conditions because of its anti-inflammatory properties, and has helped improve facial complexion as a result. 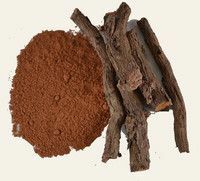 Citron works very well with licorice root as well, which is also part of the formulation of iYURA Manjish Glow Elixir. 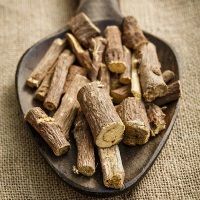 Licorice root or Yashtimadhu has so many wonderful benefits, and has been one of the most popular medicinal herbal remedies that have been used to treat many conditions throughout Ayurveda history. According to Healthline, licorice has treated many skin disorders such as eczema as well as digestive ailments. Additionally it has antibacterial properties, which prevents the skin from becoming infected. In fact, Ayurvedic practitioners also believed that licorice root has been an excellent treatment for dental decay due to its antiseptic properties. The same applies to the herbal ingredient that is also part of the formulation of the Manjish Glow Elixir which is the butter tree herb. Butter tree or Madhuka is a medicinal herb that has been known to treat many ailments, and Ayurvedic doctors have used it to treat so many disorders. According to Herbpathy, the butter tree herb has been known to treat skin conditions such as eczema, as well as rheumatism and gum disease. This is why iYURA included Madhuka in the composition of this product because it helps bring out the best in the other medicinal herbs and remedies to help improve the facial skin condition and complexion. However, not all of the natural remedies are herbal. That is because there are traces of cow's milk in the formulation. Cow's milk or Godugdha has been used a natural skin lightener and toner for many years. In fact, according to Dermacare, cow's milk has so many benefits for improving any type of condition that many people experience with their facial skin. Not only does it help to exfoliate mature skin, but it moistens the dry skin, soothes itchy and irritated skin, and it lightens dark skin. That said, since iYURA Manjish Glow Elixir is meant to improve the quality, health, and overall feeling of the facial skin, then cow's milk would be a perfect addition to the formulation. It also works well with lac resin. 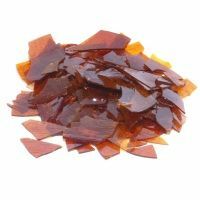 Before you become turned off by this ingredient, Lac Resin or Laksha is an important ingredient of the Manjish Glow Elixir because it has many skin-healing properties. Laccifer Lacca is a scale insect and it secrets resin which is filled with many beneficial features that promote skin health. 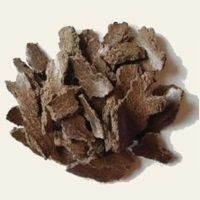 According to Herbpathy, lac resin has been known to treat various skin disorders, inflammation, and skin ulcers. In fact, this treatment has been used for Chicken Pox and other skin ailments. It contains antiseptic properties which not only helps removes toxins from the skin, but it keeps it safe from bacteria and viruses. All of these ingredients that are part of the formulation of the Manjish Glow Elixir work together so that you can end up with healthy skin. Now let's look over all of the benefits that you will find after you use iYURA Manjish Glow Elixir. ● It effectively improves complexion and facial texture - Because of the perfect formulation of the various Ayurvedic herbal medicinal ingredients together, you will end up having smooth, youthful, and healthy skin as well as a brighter complexion. ● It has anti-inflammatory properties - Most of the ingredients that are part of the composition of the Manjish Glow Elixir help reduce inflammation and prevent it from happening as well. This way, your facial skin will feel better and will be smooth. ● Manjishthadi Oil has stress-relieving properties - Many of the medicinal herbs in the product help you calm down, and help relieve stress that you may be feeling. In fact, after applying the Manjish Glow Elixir in the evening will help you become relaxed which is what you need in order to get a good night’s rest. 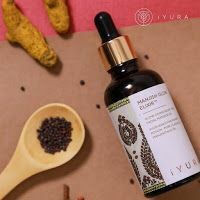 ● There are no parabens or other additives - iYURA Manjish Glow Elixir is completely natural and you do not have to worry about any strange chemicals being added to the mixture. That said, you never have to be concerned about any toxins being absorbed by your skin. ● Manjish Elixir is not tested on animals - You can be confident that when you buy iYURA Manjish Glow Elixir is that it is cruelty-free, and is not tested on animals at all. All of iYURA’s products are cruelty-free. you will love how your face appears and feels. This way, you never have to worry about having a poor facial complexion with scarring again. Now that you know why it would benefit you to purchase the Manjish Glow Elixir, you are going to want to know about the instructions for how you can use it, and it is so easy! The Manjish Glow Elixir is meant to be used in the evening and is meant to be a part of your nighttime facial care routine. Before you use the product, be sure to tone and cleanse your face as you normally would. Then after that, be sure to take 3 drops of iYURA Manjish Glow Elixir, and add it to the palm of your hand. Then you will need to gently rub your face, neck, and the surrounding areas. If you want to increase how much you want to moisturize your facial skin, you can do that by adding a few more drops and rubbing it in. Be sure to massage and stroke the formulation upward, outward, and keep doing it so it is properly absorbed into the skin. And, if you want to have a facial massage, iYURA Manjish Glow Elixir is a perfect addition which will help make your facial skin absolutely wonderful. This product is loved by so many people that they have left positive reviews for iYURA Manjish Glow Elixir, stating that it has helped them restore their skin health, and have helped improve complexion as well without them having to worry about applying dangerous or unknown chemicals onto their skin. They have experienced a significant improvement in their complexion before and after the use of Manjish glow elixir. However, before you buy Manjish Elixir, there are important factors to keep in mind before buying Manjish Glow Elixir. The Manjish Glow Elixir is not suitable for everyone. If you are planning to become pregnant, if you are pregnant, or if you are breastfeeding, then this product is not for you. That is because some of the ingredients that are part of the formulation of the Manjish Glow Elixir may not be safe for the pregnancy. If you have allergies to any of the ingredients in this product, then you will also not be able to use it. If you are unsure whether or not you have allergies, you can ask your doctor to be referred to an allergist or have a patch test done to make that determination. Additionally, because of the fact that cow’s milk and the lac resin is part of the composition of iYURA Manjish Glow Elixir, this product is not vegan. And, if you do buy Manjish glow, be sure to keep it out of the reach of children and pets. If you have purchased this product and you ended up with hives or rashes, then you must stop using it immediately. If you are unsure whether or not you can use this product, then you will need to have a consultation with your doctor. Especially if you are on other medications, as you will want to be aware of any possible interactions. Manjish Glow Elixir, which contains Licorice Root, is for external use only. Also, it is not meant to treat, cure, or prevent any ailment, and do not replace it with any medication that your doctor has prescribed for you. You will also need to make sure that the product is used within 24 months of its manufacturing date. If you have not used it up by then, you must discard it as it would have expired. Now that you are aware of the benefits of iYURA Manjish Glow Elixir, and you are also aware of the risks, and if you are wondering if there are other products that serve the same purpose- let’s take a look at 3 of them. South Beach Skincare: All In One Anti-Aging Treatment - This facial skin treatment is filled with many important vitamins, and it is free of paraben and fragrances. However, at the same time, it does not contain any of the potent medicinal herbs that have been used throughout Ayurveda history. That said, that alone is why the Manjish Glow Elixir is a unique product that effectively improve your skin’s texture, complexion, and health. Cacay Naturals Face Oil - This product is another facial skin product that many customers have used. It is a natural product, and is mostly composed of cacay oil, which is definitely good for the skin. However, because it does not contain the healing herbs that have been practiced by Ayurvedic practitioners over time, it does provide all of the benefits that iYURA Manjish Glow Elixir provides. It may help reduce the wrinkles of your skin but it does not contain the antiseptic properties which will help prevent you from ending up with acne and other skin conditions. Timeless Skin care - The Timeless skin care product is mostly composed of Vitamin C and Vitamin E which helps smooth out the facial skin, and helps to repair tissue and cellular damage. It is also a natural product. However, again, this product does not contain any of the medicinal herbs that are in the makeup of the Manjish Elixir. That said, you will not receive as many benefits with this product and an example of that is the fact that there are no antiseptic properties that can help fight or prevent skin infections. This product also needs to be refrigerated at all times which can be inconvenient. Now that you have a good idea of how the Manjish Glow Elixir compares to the other products, you are probably wondering where you can purchase it! If you are looking to get your Manjish Glow Elixir, then you buy it from the Ayurveda Experience website for $40.50. If you buy Manjish Glow Elixir from The Ayurveda Experience, then you will also receive Ayurveda Experience video course for free. Plus, you can also build up rewards every time you make a purchase on the Ayurveda Experience. Be sure to join their mailing list so you are in the loop with the latest discounts, sales, and events through their newsletter. Currently, Manjish Elixir is not available on Amazon or eBay and is exclusively sold at The Ayurveda Experience website. You can also ship this product internationally. If your order is above $35 and you live in the USA, Canada, Australia, India, or New Zealand (NZ), free shipping will automatically be applied to your order. If you are tired of having unhealthy, dull, and scarred facial skin, or if you are unhappy with having a poor complexion, and you have tried different skin remedies that did not work - don't give up. Give Manjish Glow Elixir a try and it will naturally brighten your skin, restore its beauty, and improve its complexion. What makes the Manjish Glow Elixir so unique is that it is composed of a variety of medicinal herbs that have been used by Ayurvedic practitioners throughout history to treat many ailments. Especially when it comes to healing skin disorders. The Manjish oil is completely natural, and it is also cruelty-free which means it has never been tested on animals. This product is the one and only product that can not only beautify your facial skin but because it has antiseptic properties, it can help prevent infections that are known to happen on the skin. And, it is very easy to use as well. After using iYURA Manjish Glow Elixir for only a short period of time, you will begin to notice subtle improvements on how smooth, bright, youthful, and how healthy your facial skin has become. You will be even more confident that it was the best decision and investment you have made. And, there is no need to wait, help yourself by restoring your facial skin beauty and health by getting your Manjish Glow Elixir today!